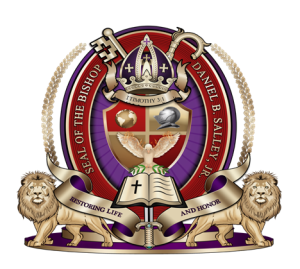 Bishop Daniel B. Salley Jr., is the Senior Pastor and Founder of Redeeming Life Ministries International (RLMI), since its inception. He is married to Barbara A. Salley who serves as the Pastor. They are blessed with three spirit-filled children (now adults), a daughter-in-law, and three grandchildren who also faithfully serve in the ministry. Bishop Salley is the offspring of a legacy and generation of ordained ministers and pastors. He accepted his call to ministry in January 1983, and, upon acceptance of his divine calling, has been faithful and devoted to accomplishing his appointed purpose in the Lord’s Kingdom work. Bishop Salley is a graduate of Central Texas College, Jericho Christian Training College, and is pursuing biblical studies at Christian Bible College and Seminary and Light University. In addition to his pastoral responsibilities, he is a member of the American Association of Christian Counselors (AACC), Charles County Minister’s Alliance, Charles County Chamber of Commerce, and The American Legion Post #0170. 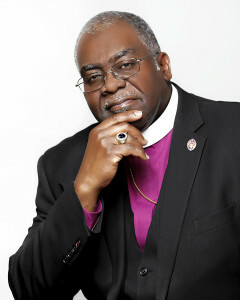 He also serves as a regionally appointed Bishop in the International Communion of Evangelical Churches (ICEC) Eagles Rock Diocese, under the 2nd Presiding Bishop, Eugene V. Reeves. Upon completing a successful military career, he again embraced the role of leadership. However, his command would be God’s elect (the Church of God) for which he is summoned to lead, direct, equip, and develop in spiritual warfare and kingdom prosperity. Furthermore, he exemplifies a genuine heart of compassion in developing the gifted and those purposely and divinely called to serve in church ministries. Additionally, under his pastoral leadership, RLMI has undertaken many business endeavors, and the purchase settlement of church property in Port Tobacco, Maryland where church services are currently being conducted. Most importantly, as a direct result of his devotion and dedication of service, RLMI continues to experience prosperity and success in every facet of its tenure as well as well-established church business organization. 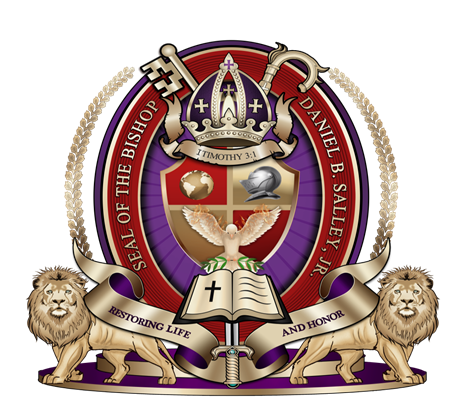 Bishop Salley has spoken at churches, conferences, retreats, leadership seminars, marriage and singles seminars, financial seminars, men’s seminars, and other congregational gatherings on a national and international platform. He is known for his unwavering commitment to God’s word and his anointed teachings on Faith, Finances, Spiritual Maturity and inspired messages such as: Living Free Without Chains, The Bible, The Guiding Light; Be Steadfast Always Abounding; Launch into Supernatural Provision; Understanding Spiritual Warfare “Angelology & Demonology”; and Discovering God’s Promises, (to name only a few.) His many messages of hope, faith and righteous living are available on CD. He is a practical teacher of the scriptures who keeps the messages real and applicable to today’s life challenging events. In addition to his preaching and teaching ministry, Bishop Salley devotes numerous hours to outreach ministry with a sole purpose of ministering the Gospel of Jesus Christ to a lost and perverse generation.